Following on from earlier meetings, John Harrison, chief executive of the Western Australian Fishing Industry Council (WAFIC), this week visited the Scottish Fishermen’s Federation (SFF) looking to pick up pointers for the setting up of a commercial services company with which to engage with the oil industry in Australia. Over the last couple of years, the SFF has been in dialogue with the Australian fishing industry and regional government to share its knowledge and experience of the mutually beneficial partnership it has developed with the UK oil and gas sector. Bertie Armstrong added: “The SFF and SFF Services are delighted to share the experiences of engaging and building up relationships with the oil and gas industry over the last 40 years or so; what has worked well and not so well will hopefully help WAFIC avoid some of the pain and conflict which was prevalent in UK continental shelf waters in the early days. SFF Services provides offshore marine industries with a range of both vessel and personnel services. Not only has this benefited the offshore energy sector and the marine environment, but it has also helped secure the future of Scottish fishing by keeping the fleet viable during a period when fundamental restructuring of fisheries management has dramatically reduced fishing opportunities while fish stocks steadily rebuild. Over 500 different fishing vessels have undertaken work (more than 80,000 days at sea) through SFFSL since 2001. 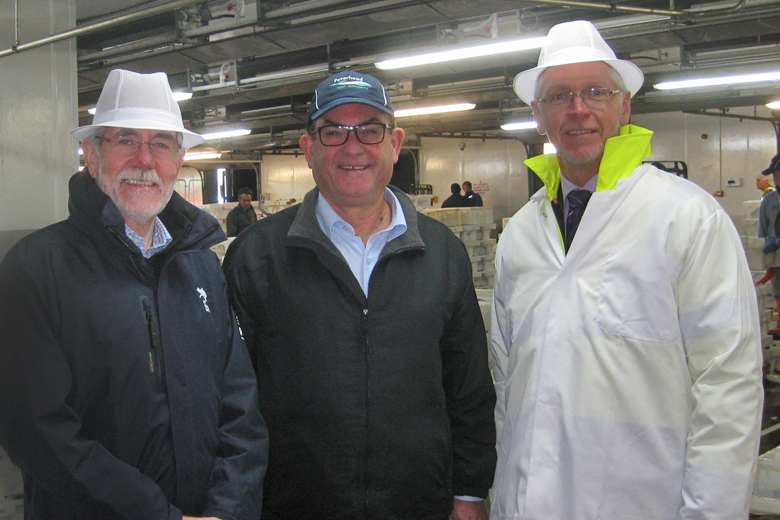 Photo caption: Left to right, Bertie Armstrong (chief executive SFF), John Harrison (chief executive of the Western Australian Fishing Industry Council), and Ian Laidlaw Peterhead Port Authority chief executive (designate)), who hosted a visit to Peterhead fishmarket on 14 July 2016.